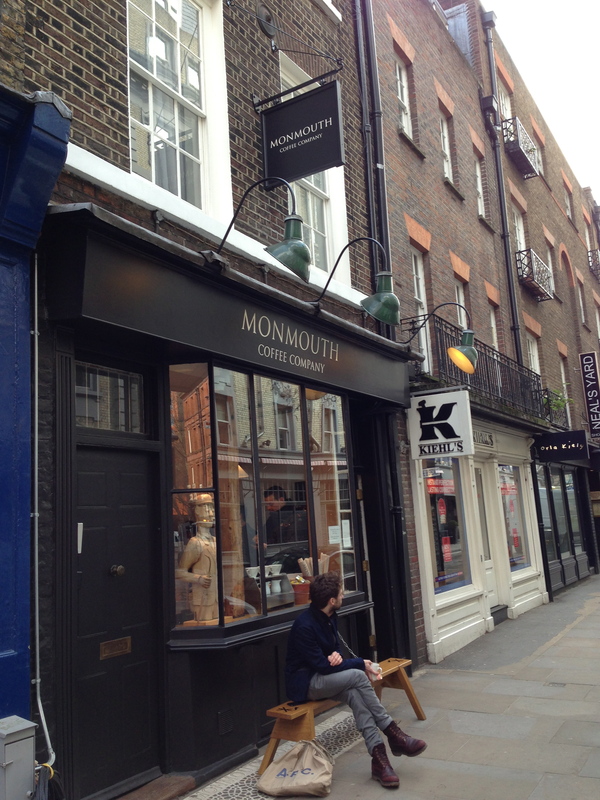 I’m not sure why it’s taken me so long to add the Monmouth Coffee Company to my Coffee Hot Stops. Their first shop opened in Covent Garden in 1978 and was quite revolutionary. This was THE place to come if you were a serious coffee drinker. 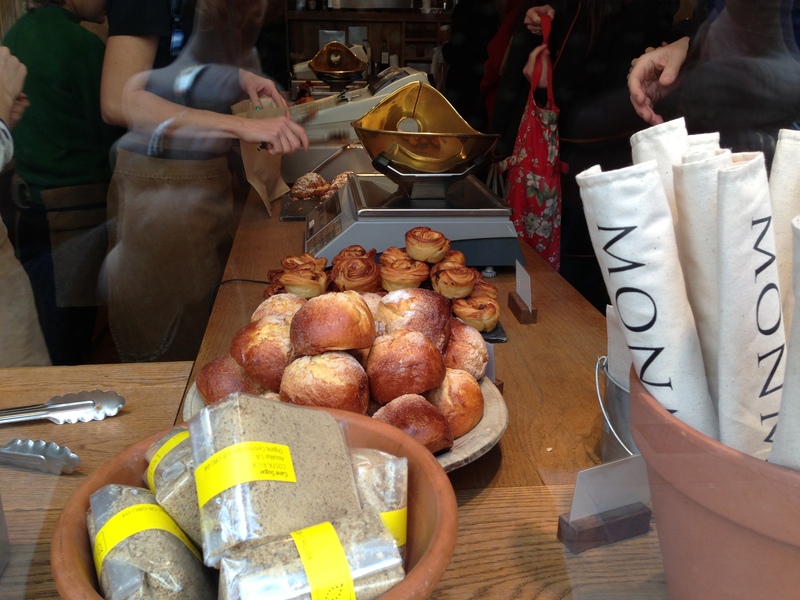 At the beginning they roasted beans they bought from single farms, estates and cooperatives in the basement of the Monmouth Street shop. 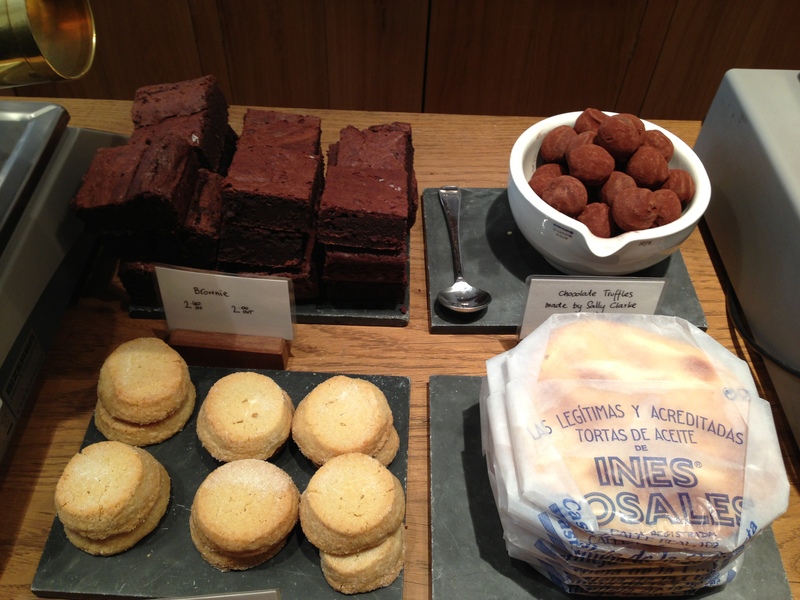 However, in 2007 they moved the roasting to new, specially converted premises in Bermondsey, south east London, so now the original shop is just a cafe and place to buy coffee beans. 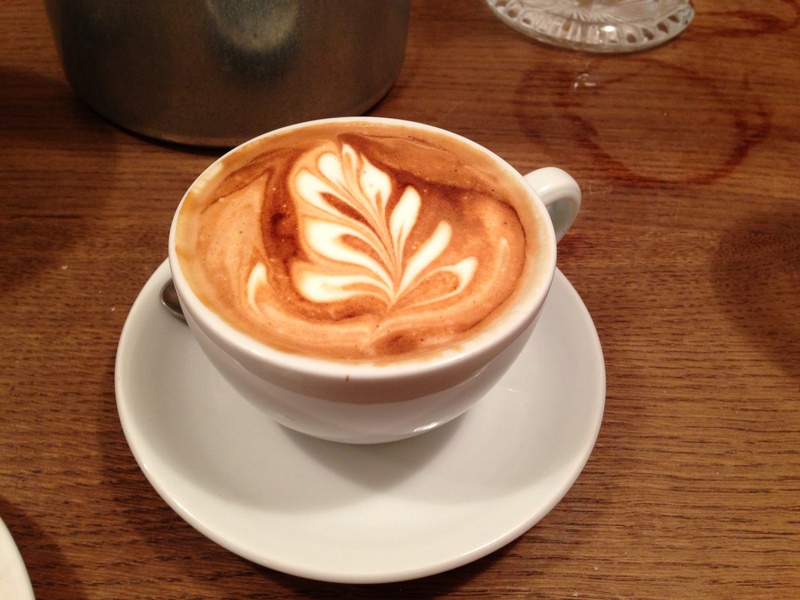 Coffee has become so fashionable in recent years that there are good coffee houses popping up all over the place but there really was nothing quite like Monmouth Coffee for a while and it’s still, without doubt, one of the very best. I was a young book editor working nearby when it opened and it was the height of sophistication to go there for coffee and it is still a Mecca for coffee aficionados; its popularity seems to have never waned. 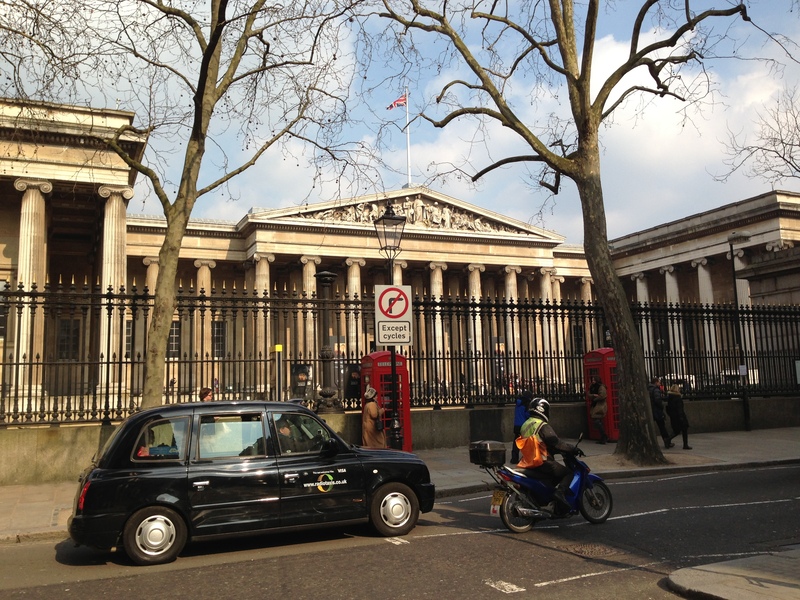 I set off from home early this morning as I’d managed to get a ticket for the hot new exhibition in London at the moment: Pompeii and Herculaneum at the British Museum. The first weeks are sold out and the only time I could get was a 10.10 a.m. entry today … unless I wanted to wait till June! 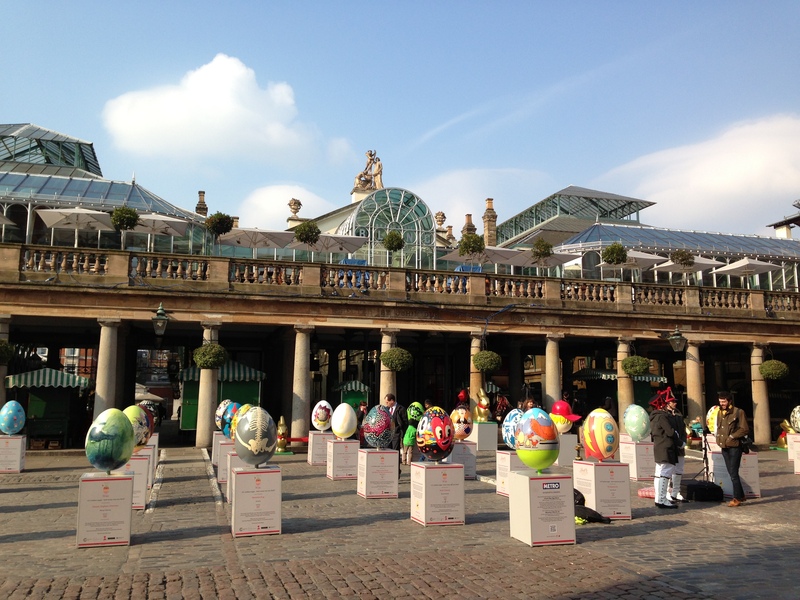 I walked up from Waterloo through a quiet Covent Garden piazza as it was still a fairly early hour and was greeted by the sight of colourful and huge Easter eggs on plinths decorating the place. A good coffee was going to be a necessity before I went round the exhibition so I decided that Monmouth Coffee was pretty much en route and a good place to head for. It’s quite a small shop with people buying takeaway coffee and pastries, or coffee beans, at the front and a small seating area at the back. It was so full when I arrived I thought they might not have somewhere for me to sit (and it was a bit cold to sit outside), but when I asked they found me a seat at a communal table. All the tables are communal. In busy times each seat is used. Which I think it fair enough for this kind of place. Someone soon came to ask me what I wanted and I ordered a flat white and brioche. 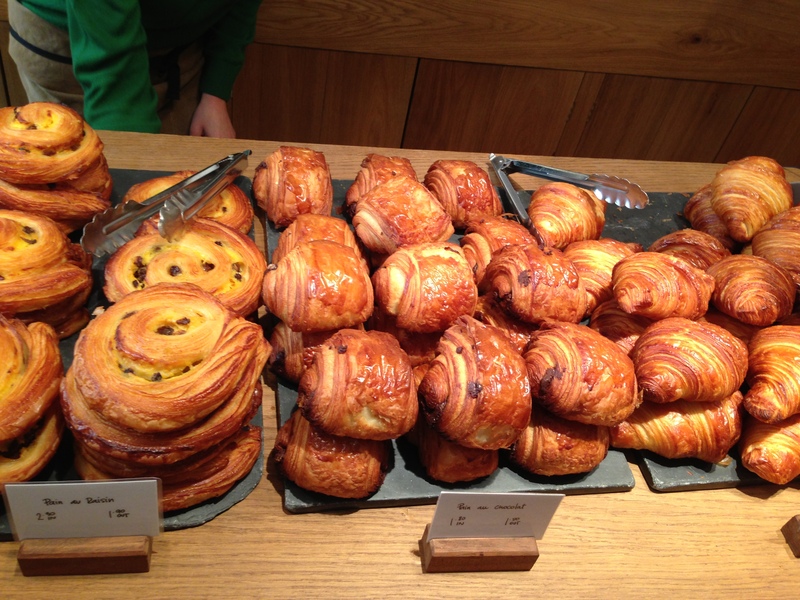 I’d seen a wonderful array of pastries at the front as I came in and although my more usual choice for morning coffee would be a croissant, the small brioches looked excellent so I decided to go for one of those for a change. 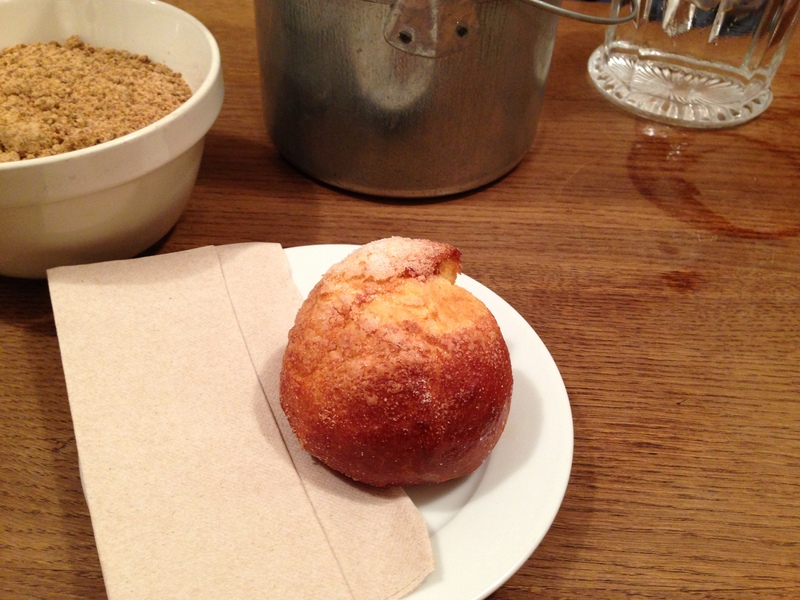 When my brioche came, I broke off a piece and tasted. It was wonderful. 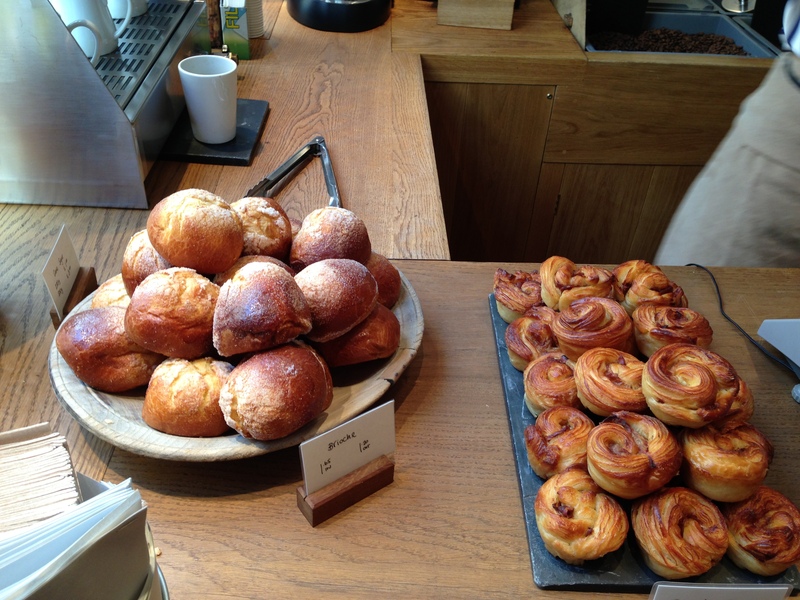 Brioches can be a little disappointing, I find, and lack flavour, but these were so light and tasted delicious. Soon my my coffee came too. Again, this was excellent. A nice touch is that they put a big jug of water on each table with glasses. There’s also a pot containing folded copies of their newsletter so I was able to pick one out and see not only information about their history but details of their current coffee beans, each with full details about where they’re grown, production methods and taste. The staff were so friendly, all saying hello and goodbye, and as I went out they were happy to let me take the photos when I asked. People were standing at the counter buying takeaways and beans and it was still busy. It usually is but it’s well worth waiting. 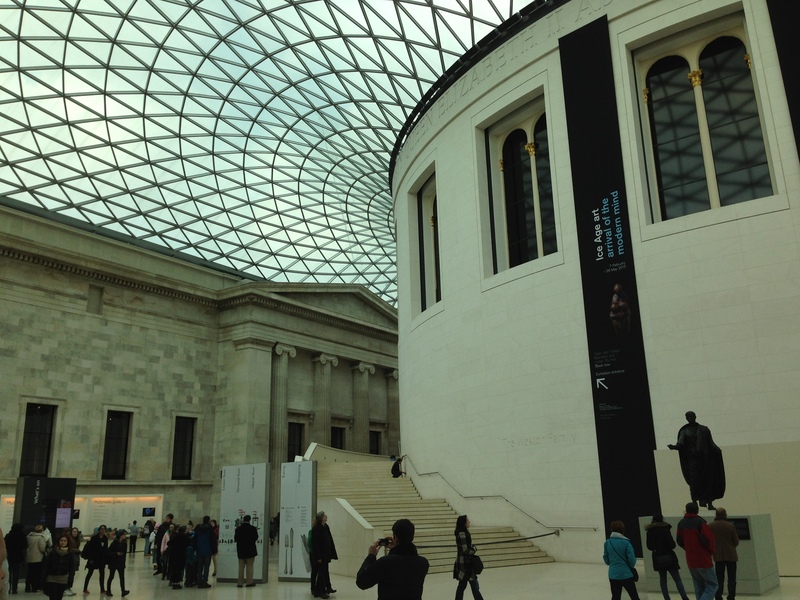 From here it was a short walk up to the British Museum. I love this area of London – Bloomsbury – with its literary history: home of the Bloomsbury Set . This was an influential group of writers (including Virginia Woolf and E.M. Forster), artists (like Vanessa Bell) and philosophers who lived in the area in the early 20th century. The architecture in the area is wonderful: gorgeous 17th and 18th century houses. The museum itself is a beautiful building but more impressive is the interior. I’ve been here a few times since its makeover in 2000 when the covered Central Court was opened but there’s always a frisson of excitement seeing it again. It is stunning and although I know what’s coming as I walk through from the main entrance, there’s still an element of surprise coming from the dark entrance hall into this bright and awesome area combining old with new. The Pompeii exhibition was wonderful too – even though I’ve been to Pompeii itself. Definitely recommended if you’re in London between now and 29 September. What a great morning out I had. And there was even some sun!! Much welcome after weeks of grey and rain.